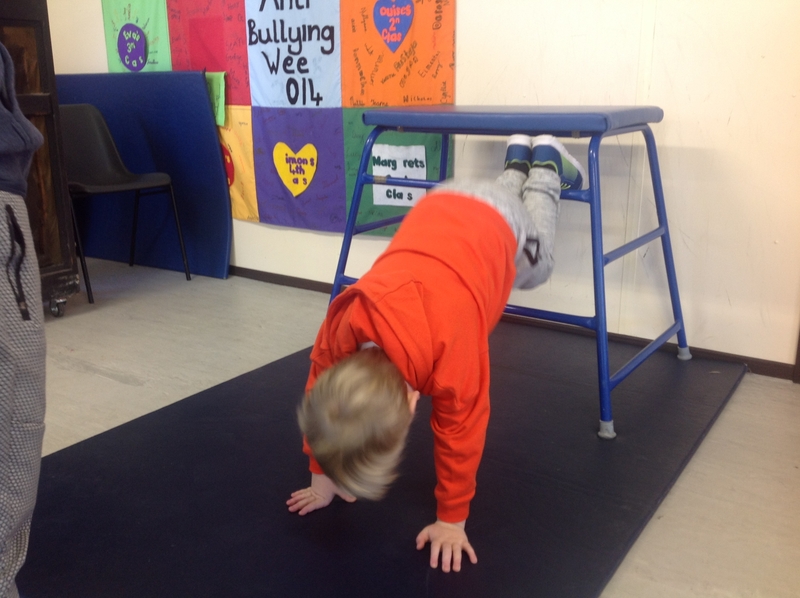 P.E is an integral part of the curriculum in RaLET. 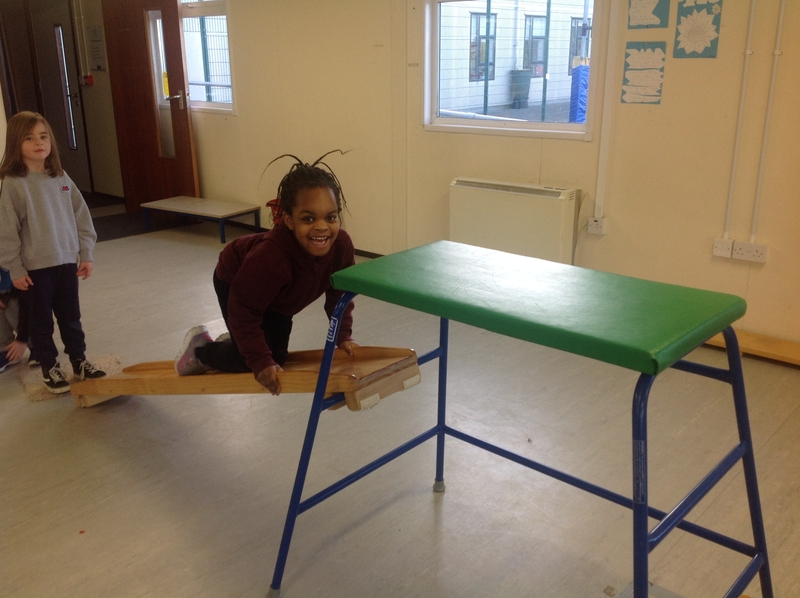 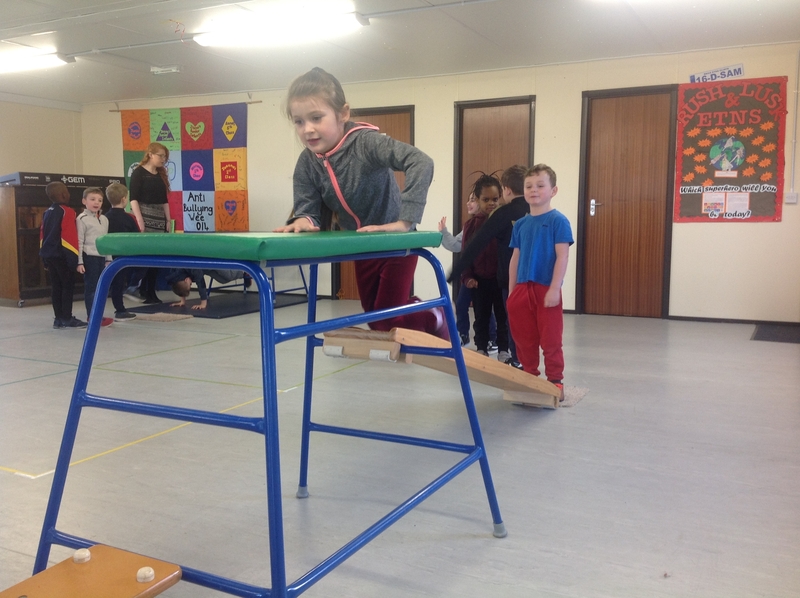 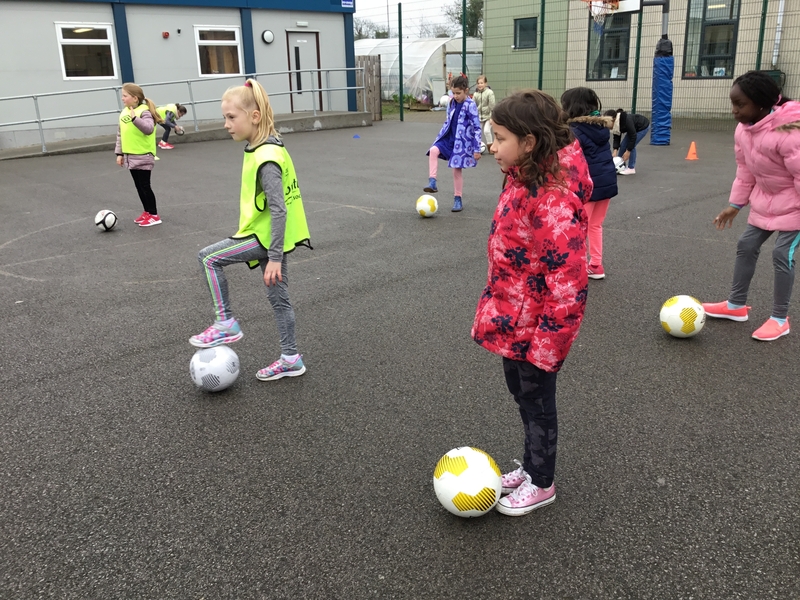 All classes receive at least one hour scheduled P.E every week across five strands of the curriculum. 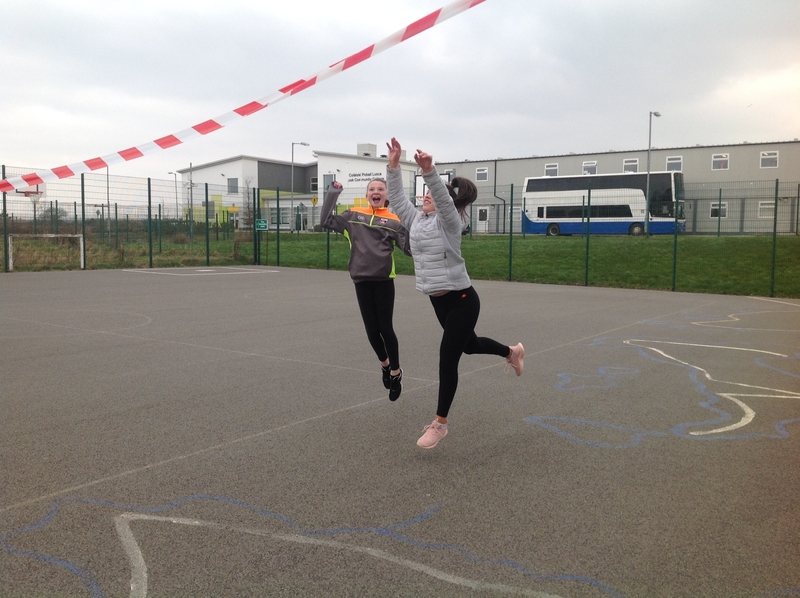 This year we’re prioritising the Dance strand of the curriculum. 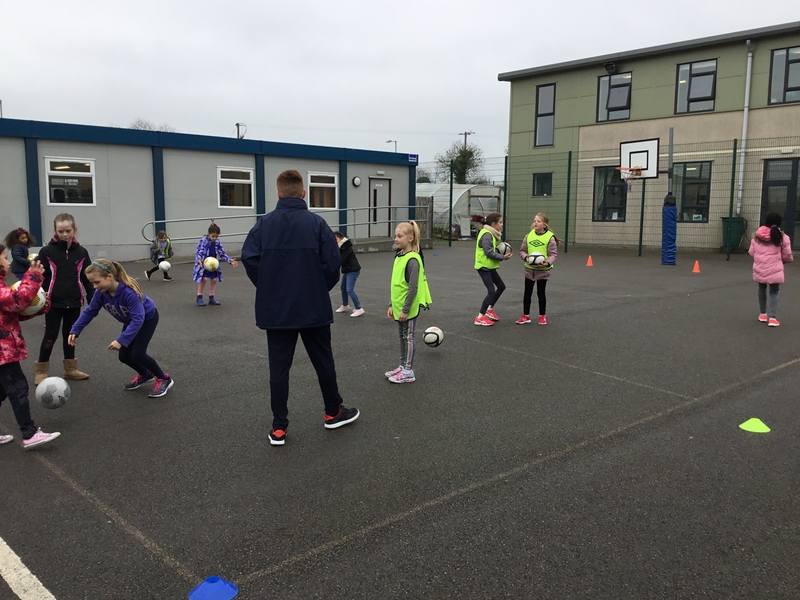 As part of the emphasis on this staff have undertaken a workshop with Kevin Woods to improve our teaching in this strand. 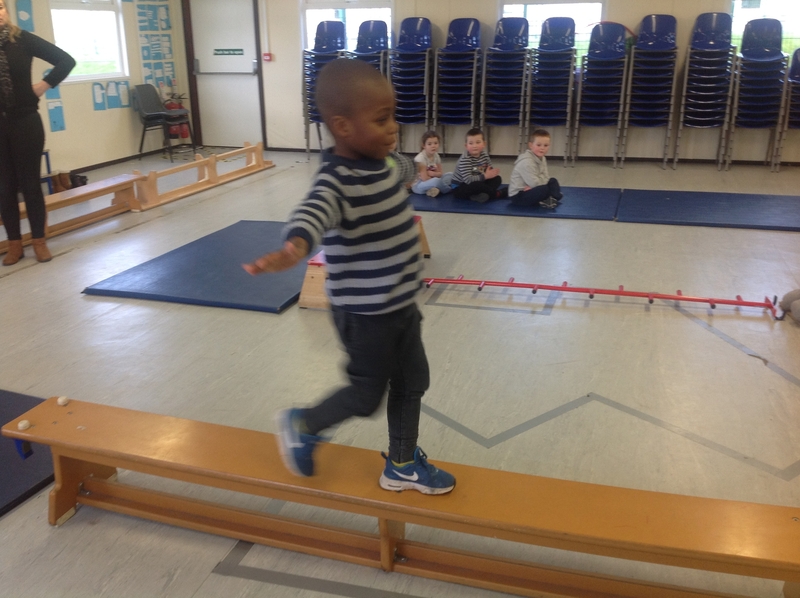 We’ve also made a big effort to include dancing in our Active School Week programme. 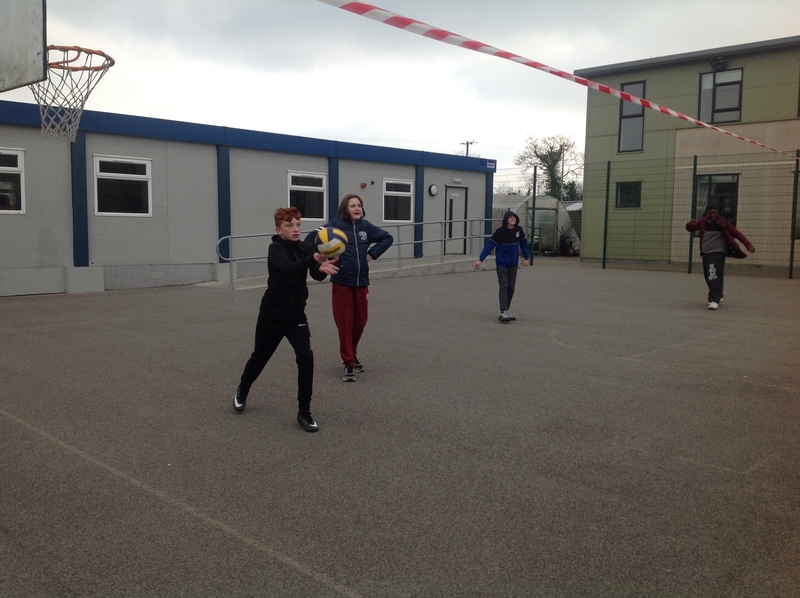 We were very lucky to have some Transition Year students from Lusk Community College in our school. 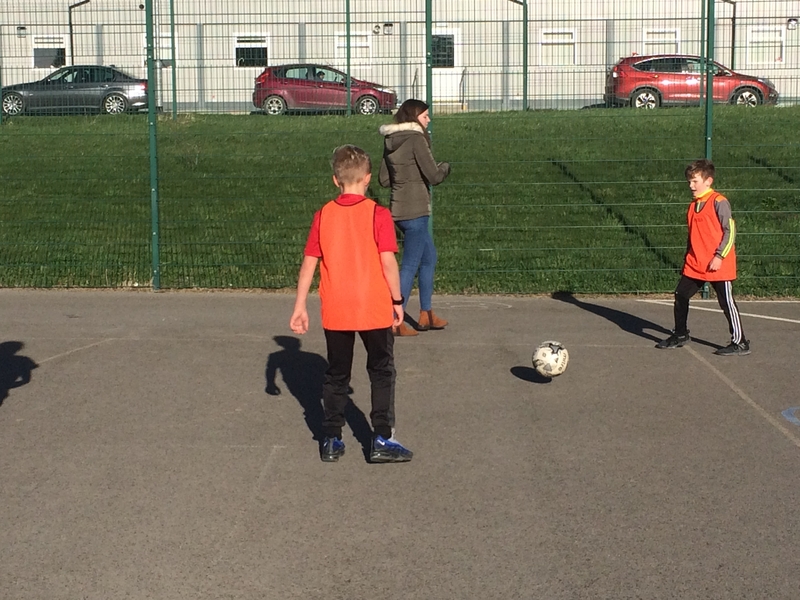 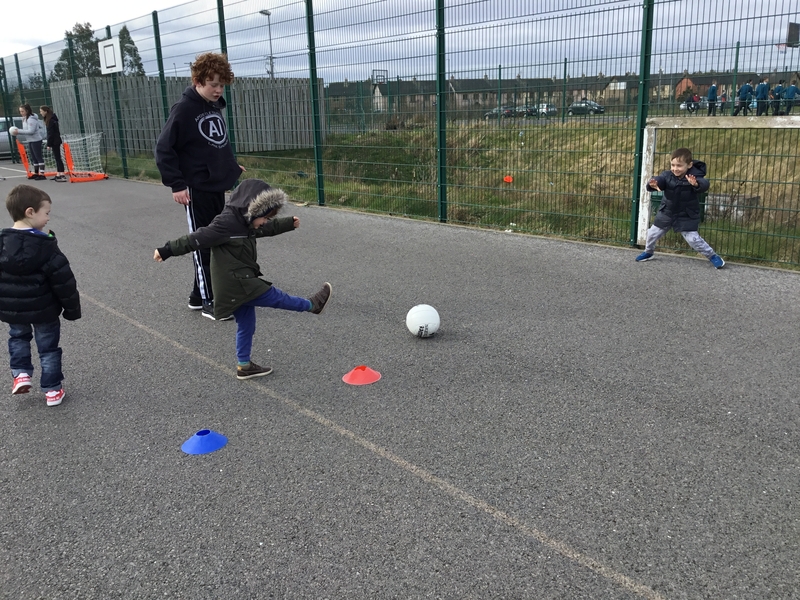 They are completing training with the FAI and did a football session with 1st Class! 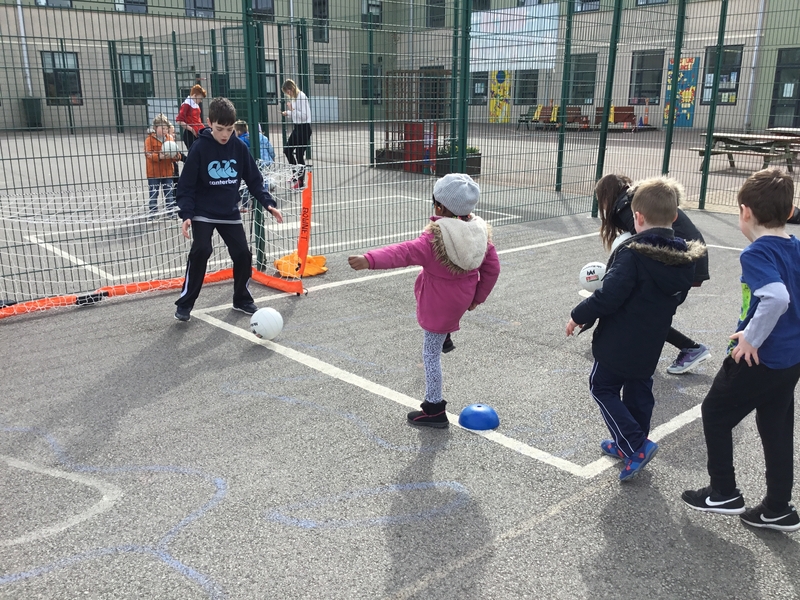 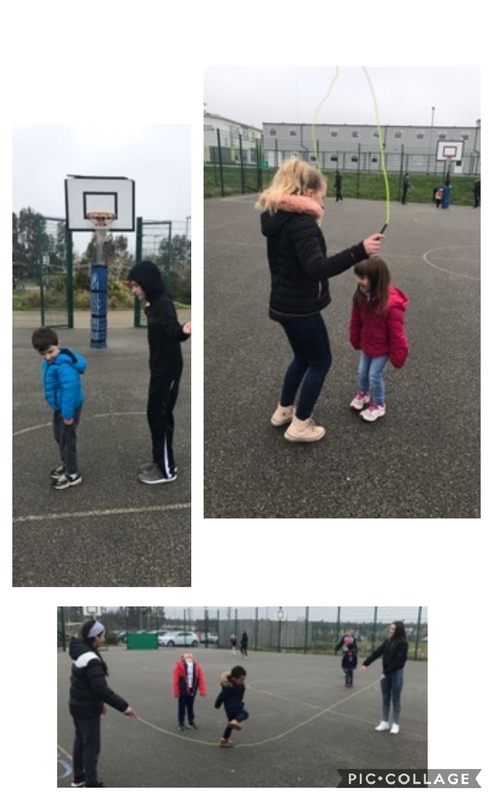 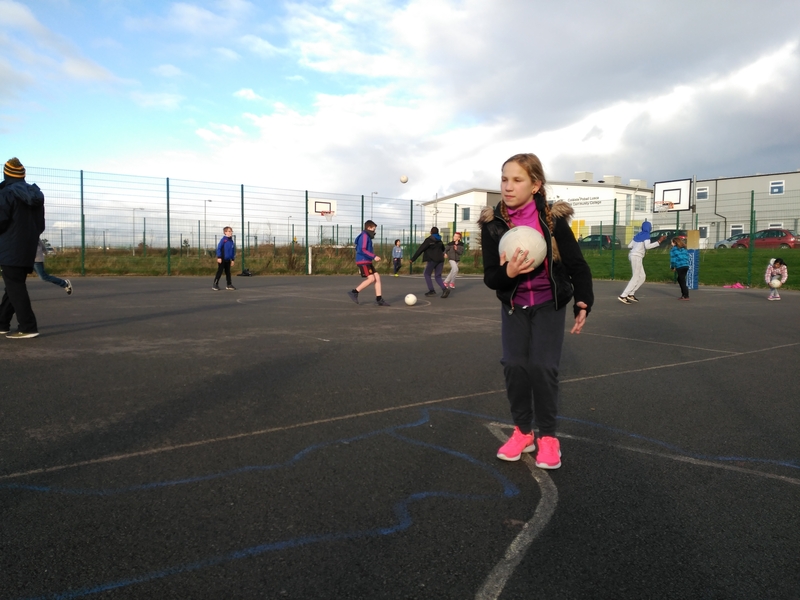 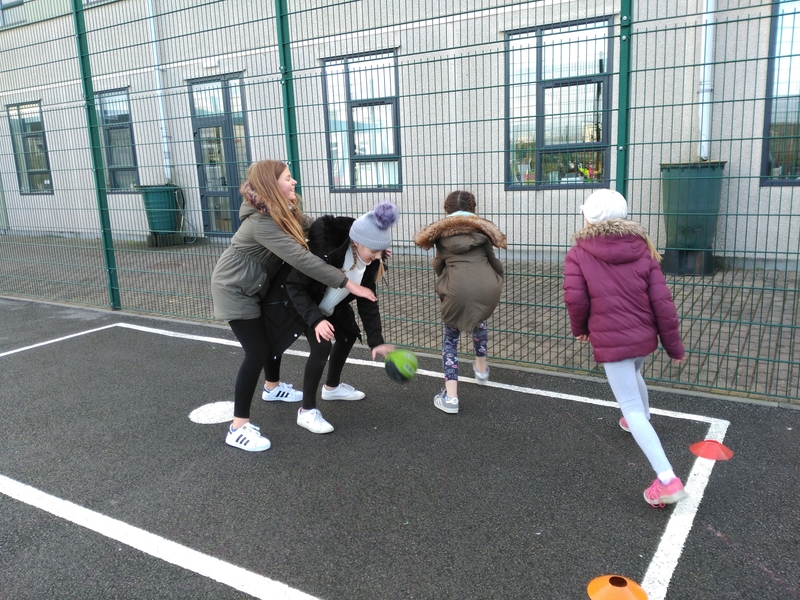 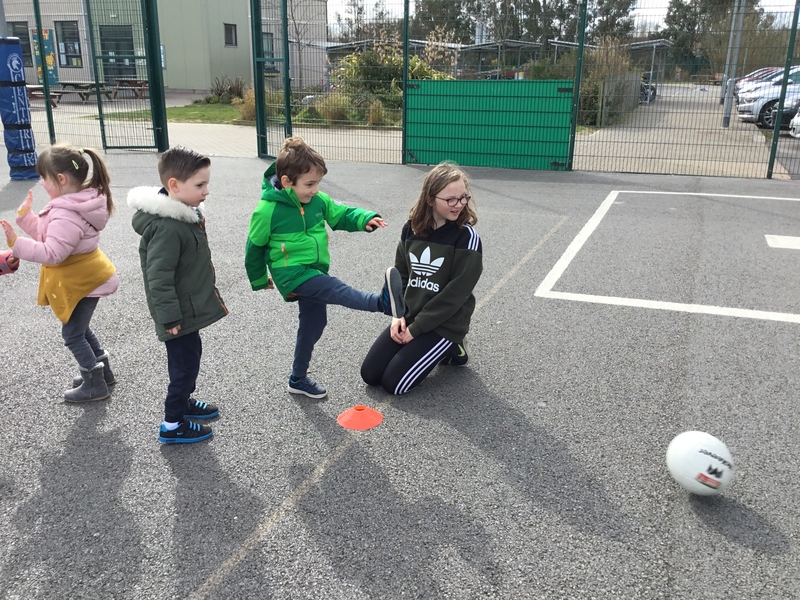 Áine’s Junior Infants and Simon’s 6th Class joined forces to work on their kicking skills. 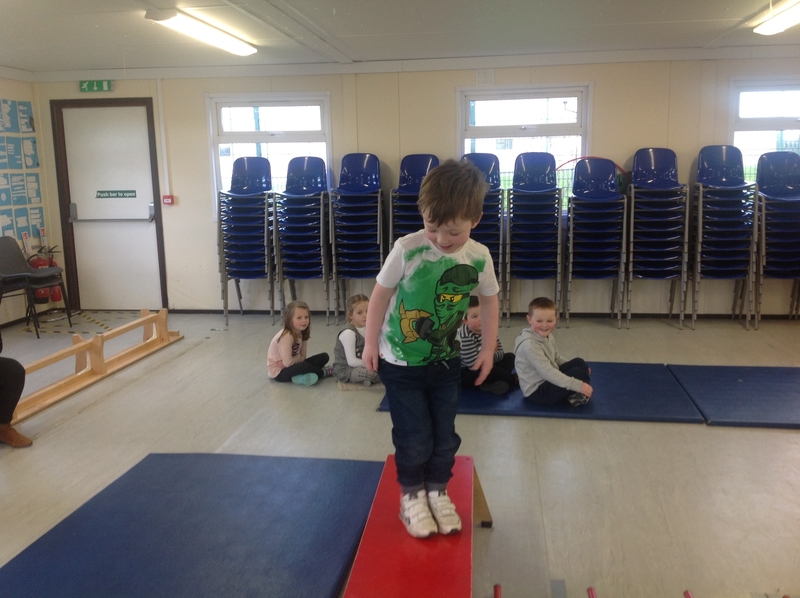 Both classes had lots of fun! 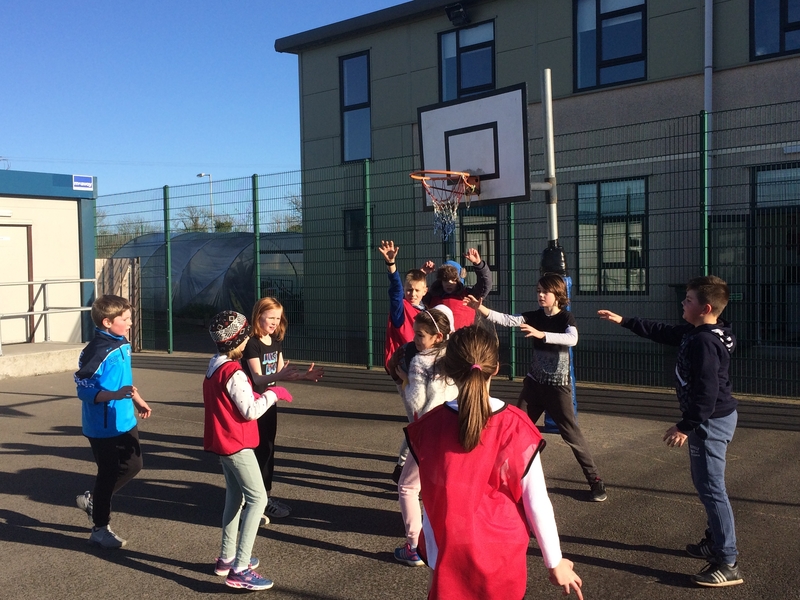 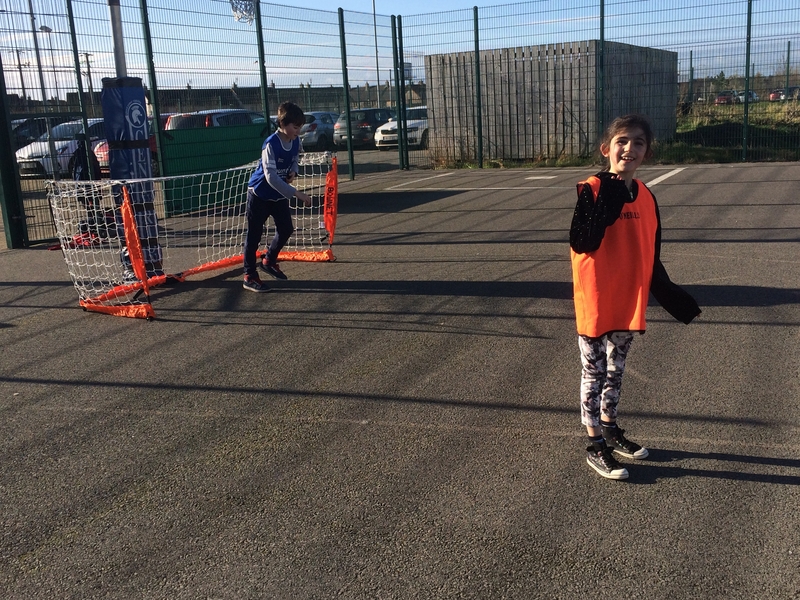 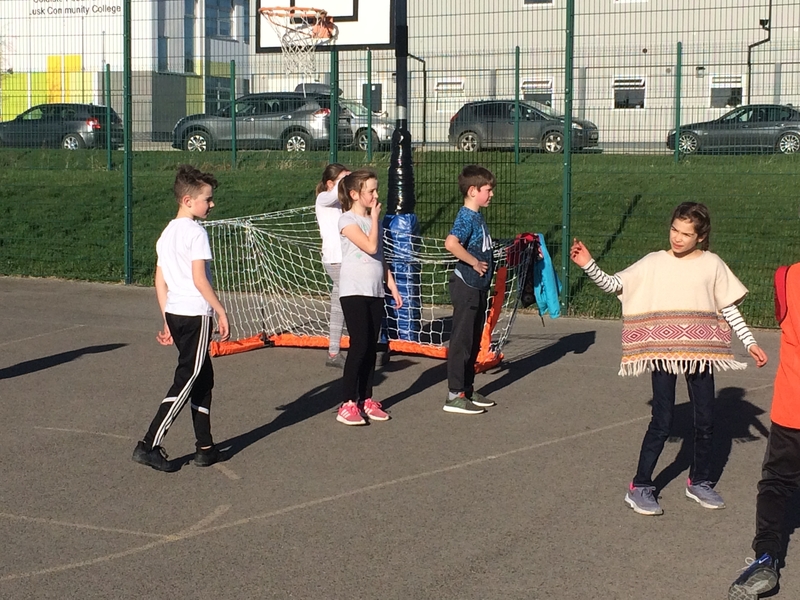 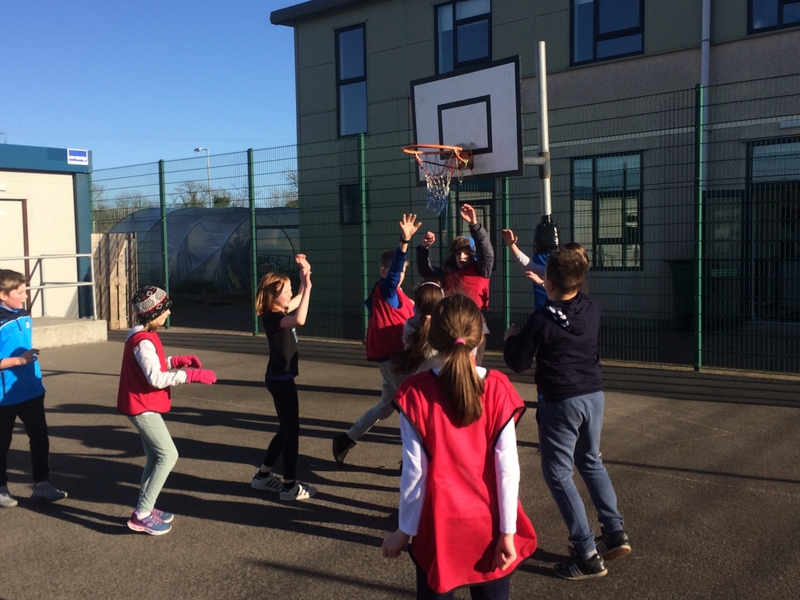 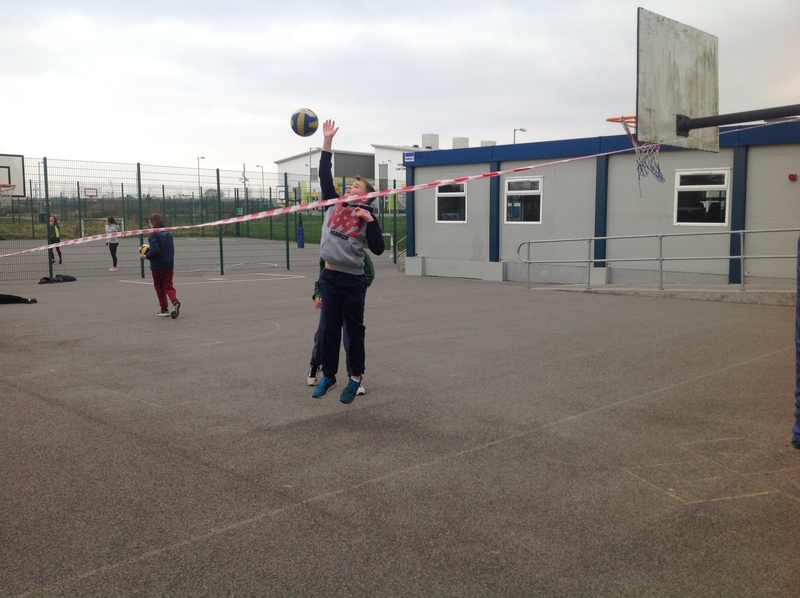 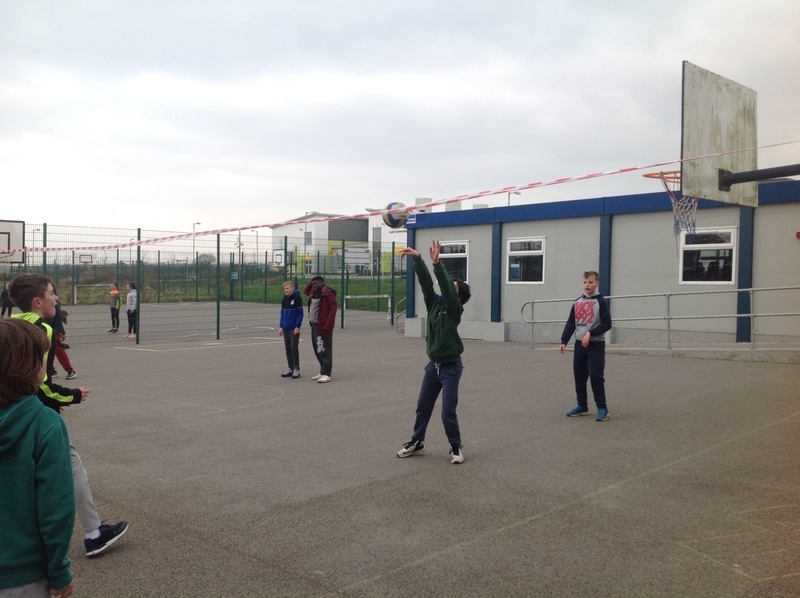 Simon’s class have been learning how to strike, pass and block in volleyball. 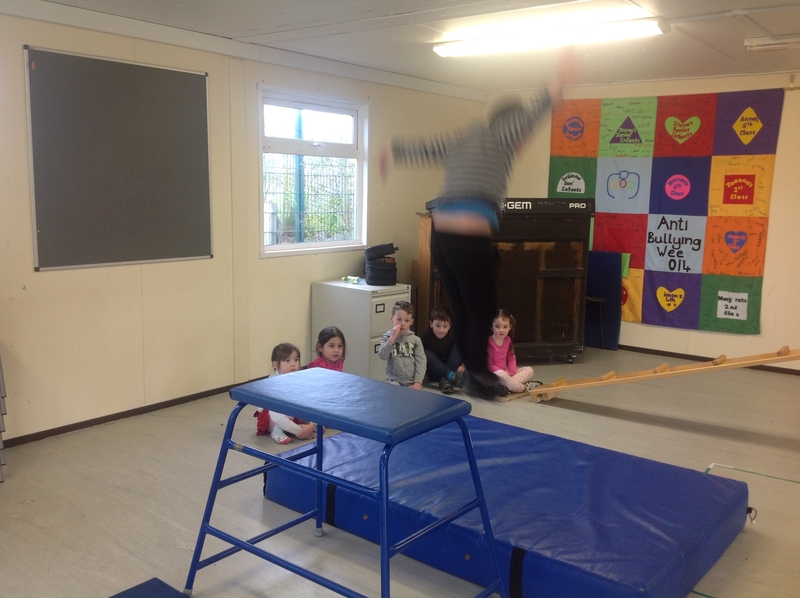 Take a look at them in action…. 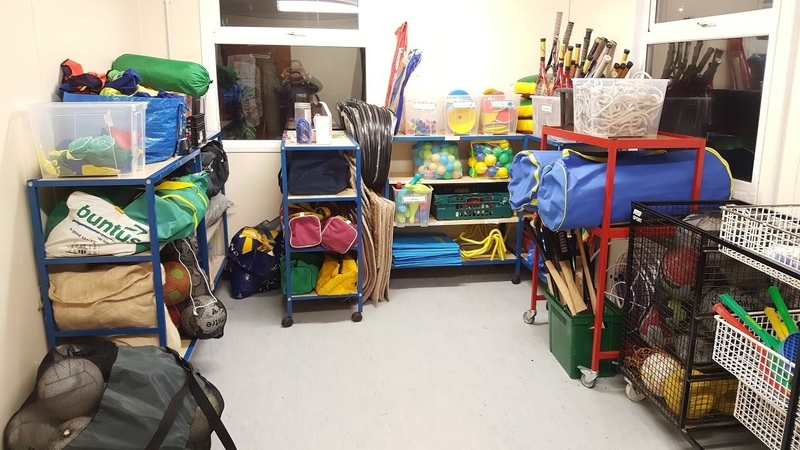 Thanks to Grainne, Fiona, Amy and Conor, the PE Storage Room has been overhauled and reorganised! 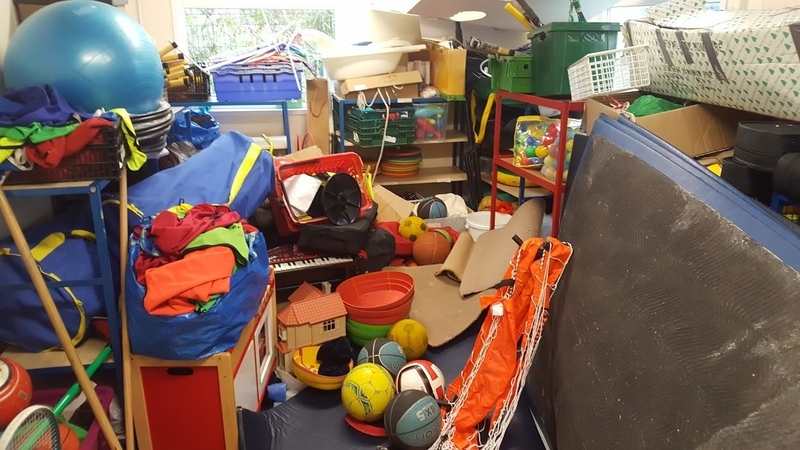 Here is a ‘before’ and ‘after’ shot…truth be told, we are a bit embarrassed to show you our ‘before’ picture…but let’s be honest, we all have places that look like this in our homes, or offices, or even in our bedrooms! 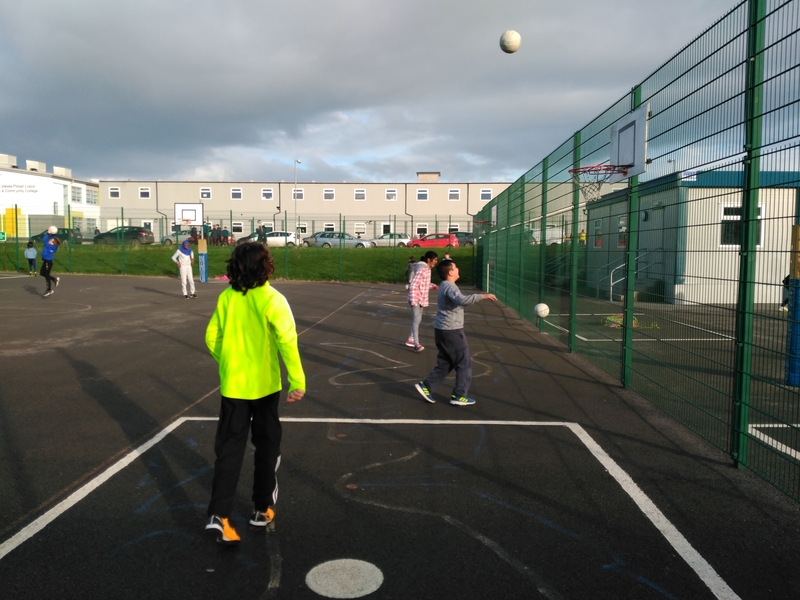 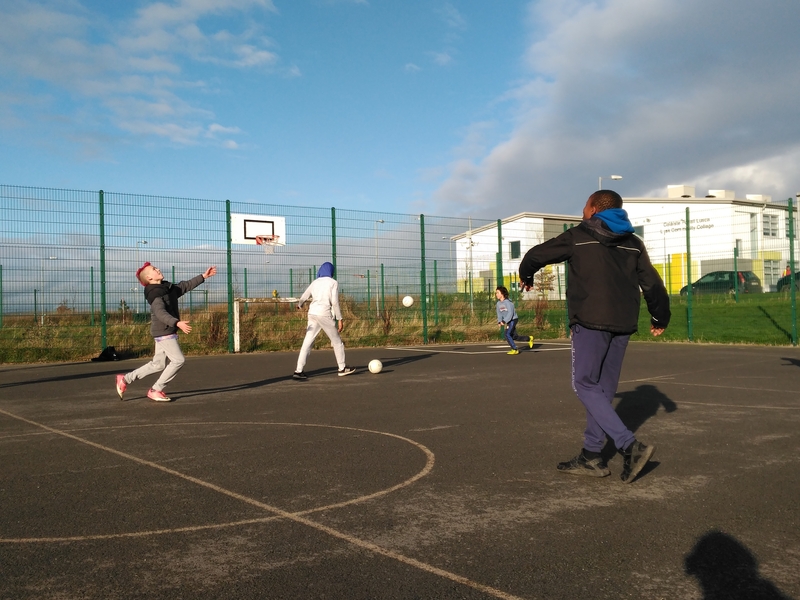 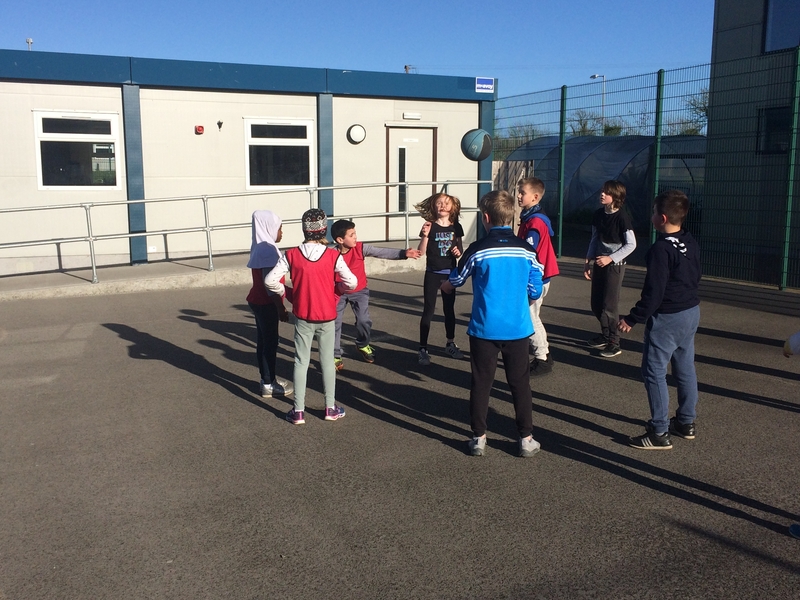 5th Class have focused on their GAA skills this term. 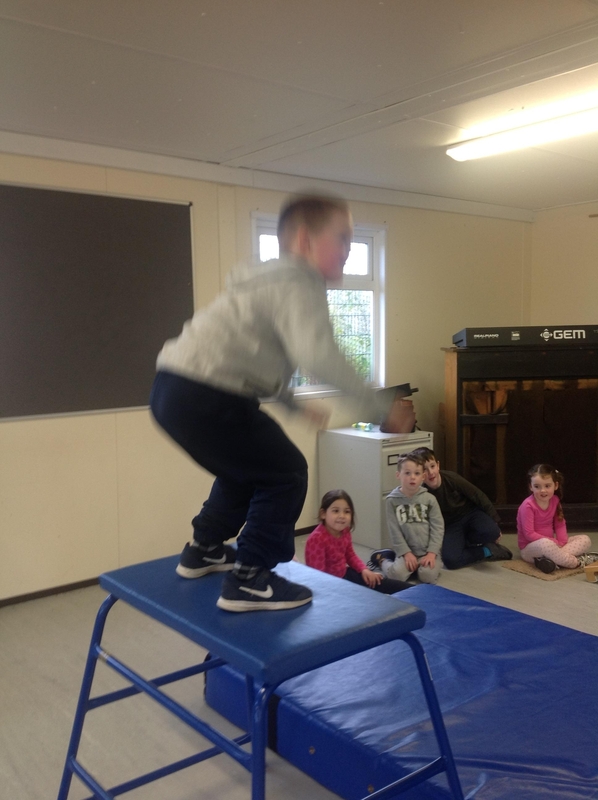 Have a look at these photos and see what you think!